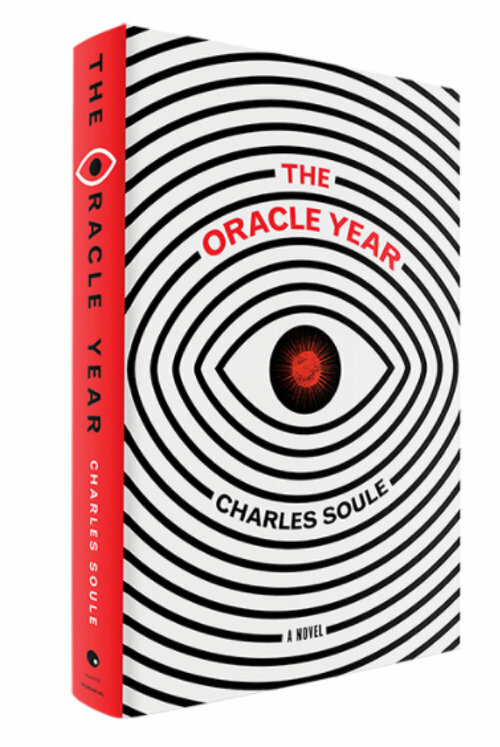 The Oracle Year - OUT NOW from Harper Perennial! SIGNED COPIES now available for order. For a list of participating stores, click here. From bestselling comic-book franchise writer Charles Soule comes a clever and witty first novel of a twentysomething New Yorker who wakes up one morning with the power to predict the future. 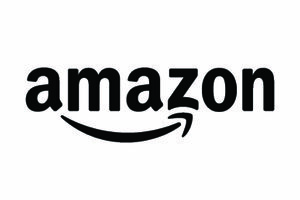 Selected as a Publisher's Marketplace Spring/Summer 2018 Buzz Book, an Amazon Best Book of the Month and Debut Spotlight, selection for Indie Next and more. The Oracle Year is currently in development for television by Tomorrow Studios. Knowledge is power. So when an unassuming Manhattan bassist named Will Dando awakens from a dream one morning with 108 predictions about the future in his head, he rapidly finds himself the most powerful man in the world. Protecting his anonymity by calling himself the Oracle, he sets up a heavily guarded Web site with the help of his friend Hamza to announce his revelations. In no time, global corporations are offering him millions for exclusive access, eager to profit from his prophecies. He's also making high-powered enemies, from the President of the United States and a nationally prominent televangelist to a septuagenarian female assassin and a warlord with a nuclear missile. Legions of cyber spies are unleashed to hack the Site—as it's come to be called—and the best manhunters money can buy are deployed not only to unmask the Oracle but to take him out of the game entirely. With only a handful of people he can trust—including a beautiful journalist—it's all Will can do just to survive, elude exposure, and protect those he loves long enough to use his knowledge to save the world. 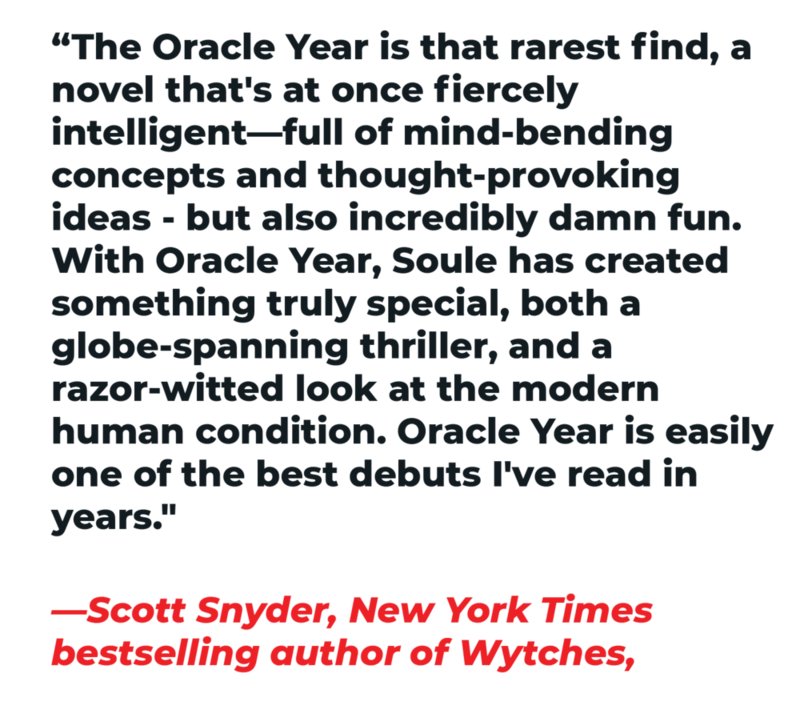 Reading THE ORACLE YEAR in your book club? Check out some discussion questions to start your conversation!